In addition to the usual assortment of minor fixes, this version of the Community Patch also includes some fairly major usability improvements to the Level Editor – opening up completely new possibilities to Drakan map making for the first time in the last 19 years. Another major feature is that it now allows patching the Spanish version of Drakan, in addition to the previously supported English and German versions. On top of that, the patch installer received a Spanish translation as well, thanks to Discord user Javixx95. In fact, in terms of added content, this is easily the most significant patch release to date. UCyborg’s fixes now allow the notoriously troublesome “Lens Flare Effects” to work properly in most cases. The game servers have been updated to the new version. Please remember to apply this update if you want to play Drakan multiplayer; the patch can be downloaded from the usual place. The latest community patch has been released by Mechanist. This makes changes to several maps which we found to be unbalanced and other improvements have been made to make gameplay more fair. You will need to install this to be able to play on the multiplayer servers. It is not required to update if you have an earlier build if you play only single player. I have updated the tech support pages as they were out of date and no longer relevant. I have put some information on there for new visitors who would like to play the game and how to install the community patch which replaces the 445 patch. Speaking of which there is a new version (135.03) which contains updates to some of the multiplayer levels to fix bugs and balancing. Regarding the previous post about the community patch – there has been a small update so the build number is now 135.02. If you play multiplayer you will need to update to this version. Also I need to update the tech support page with detailed instructions on how to use the community patch as it’s pretty much a fix all issues patch and renders a lot of things on the support page irrelevant. I should get chance to do this at some point this week but in the meantime the community patch does have a good readme which you can take a look at. Mechanist has been hard at work creating a community patch which will make updating the game much easier especially if you play multiplayer. The patch contains the latest AIO patch and any updated SP and MP community made levels and bug fixes to existing ones. If you play Drakan single player only you can download the AIO patch but it’s recommended to use the community patch. To install the patch you will need the full version of the game installed. Note the 445 patch is not required anymore as this patch supersedes it. Then download and run the latest community patch, which can be found on our downloads page and the installer will automatically detect your Drakan installation and update the files as needed. It will work exactly like the 445 patch installer except for it will also update any maps / levels required for multiplayer. Current build 135.01rc0, game version should show 377/447 after install. Thanks to Mechanist for his hard work! There is also a forum discussion topic which can be found by following this link. 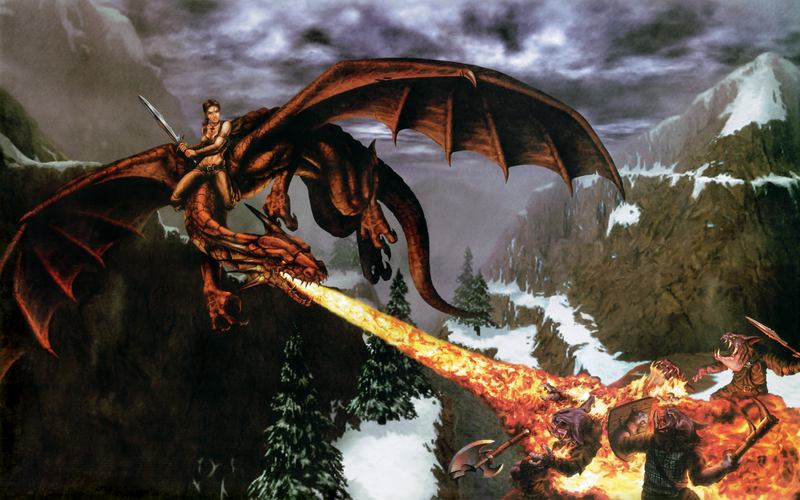 In case you didn’t know what Open OOTF is well it’s a remake of Drakan: Order of the Flame in the unity engine. It remains to be seen if this will be made into a full remake or whether it will be made into a seperate game similar to Drakan but time will tell on that. If the full remake is completed it will be a requirement to own the original Drakan:OOTF PC game. Here is the link to the forum topic which tells you more about it. Today was a milestone in Drakan multiplayer; we played for 3 hours and had a few players playing at once without any issues. There are now several of us that will be playing regularly. The match was recorded by two players and is available on Jage’s twitch channel to watch now – the Youtube recording will be posted later.